Notre-Dame Basilica (French Basilique Notre-Dame de Montréal), overlooks the Place d’Armes in the heart of Old Montreal. The Roman Catholic Sulpician Order arrived in Montreal (Ville-Marie) in 1657; six years later the seigneury of the island was given them and they ruled until 1840. The parish they founded was dedicated to the Holy Name of Mary, and the parish church of Notre-Dame was built on the site in 1672. The congregation had completely outgrown the church by the time work began on the new building in 1824. The Protestant architect James O’Donnell, an Irish immigrant to New York, was commissioned to design the neo-gothic church. He embraced Catholicism just before he died in 1830, and is buried in the church. The sanctuary was completed in the same year, and the first tower was completed in 1843. 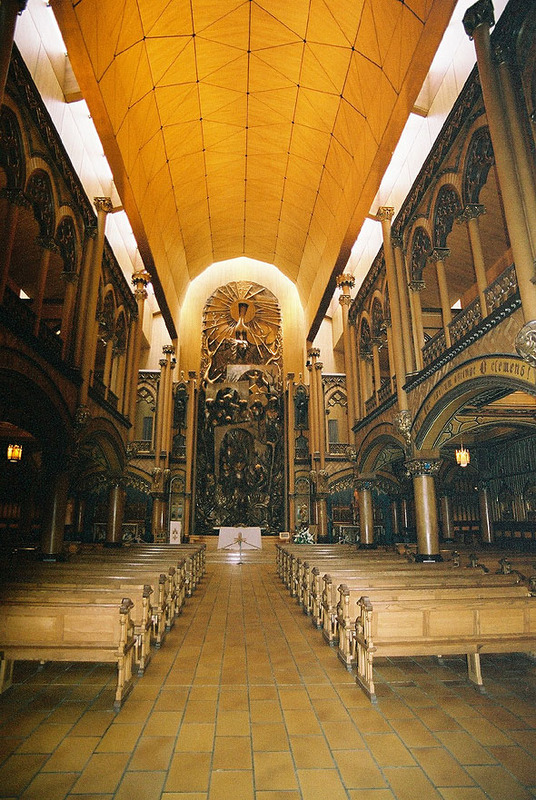 When the structure was finished it was the largest church in North America. 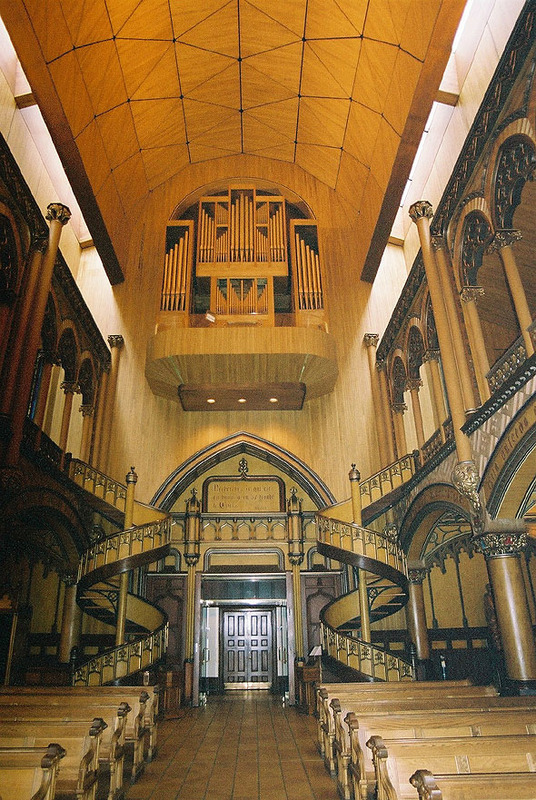 The interior took much longer, and Victor Bourgeau, who also worked on Mary, Queen of the World Cathedral also in Montreal, worked on it from 1872 to 1879. Stonemason John Redpath was a major participant in the construction of the Basilica. 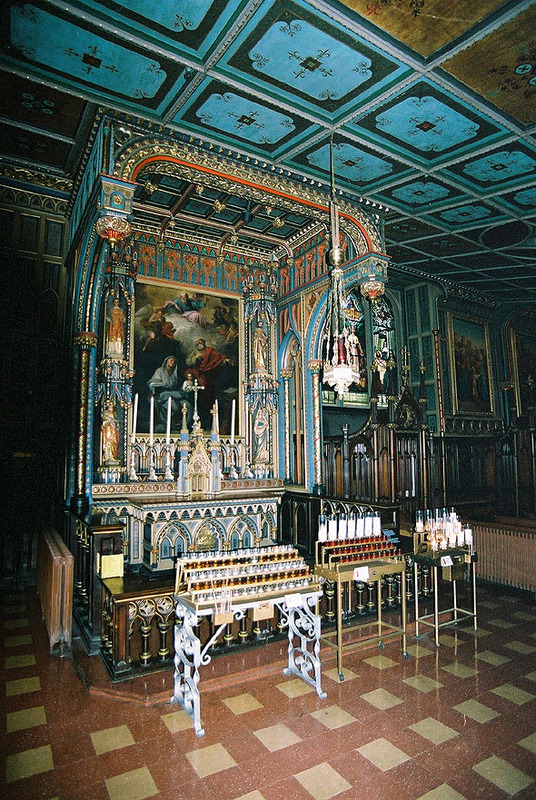 The church is well-known for its stunningly decorated interior, its ceiling decorated in deep blue with gold stars, and the rest of the sanctuary in polychrome of blues, azures, reds, purples, silver, and gold. There are hundreds of intricate wooden carvings all over the sanctuary. Unusually, the stained-glass windows along the walls of the sanctuary are not biblical, but depict scenes from the religious history of Montreal. Because of the splendour and scale of the church, a more intimate chapel (Chapelle du Sacré-Coeur) was built behind it along with some offices and a sacristy. It was completed in 1888. 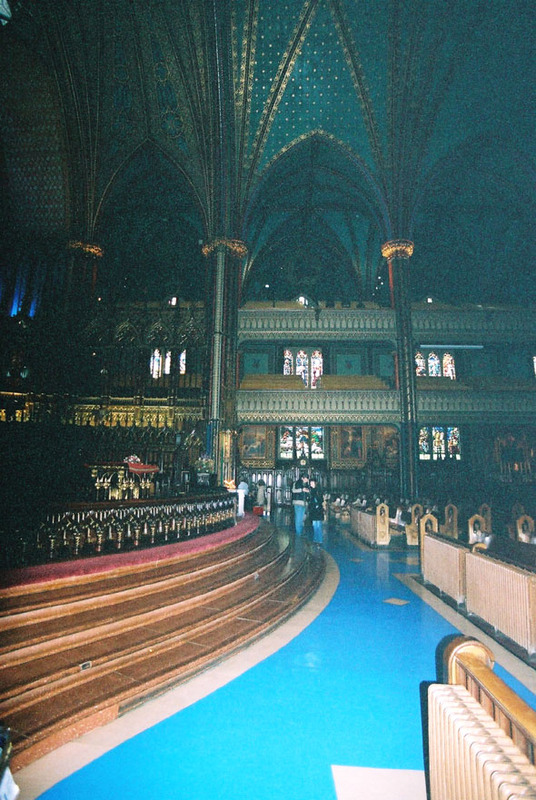 A major fire destroyed the Sacré-Coeur Chapel on December 7, 1978. 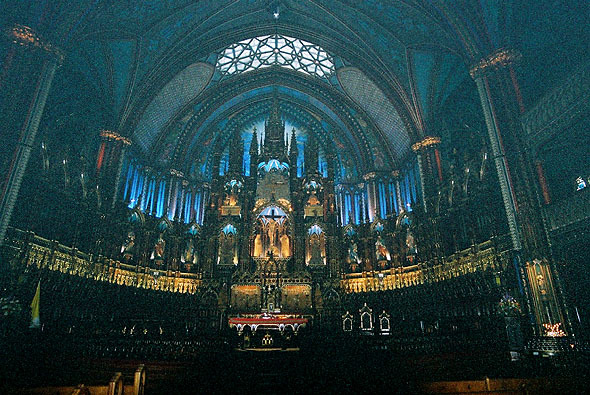 It was rebuilt with the first two levels being reproduced from old drawings and photographs, with modern vaulting and reredos and an immense bronze altarpiece by Quebec sculptor Charles Daudelin.